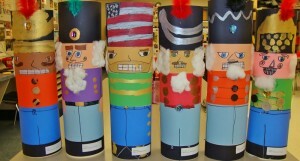 When Martic Elementary School students head to downtown Lancaster Friday to see “The Nutcracker,” they’ll notice some familiar faces inside the Fulton Theater. Sculptures of nutcrackers made by some of the students are being displayed in the upstairs windows of the historic theater. The construction paper sculptures also are on display at a nearby business, Ric’s Breads, on North Queen Street. 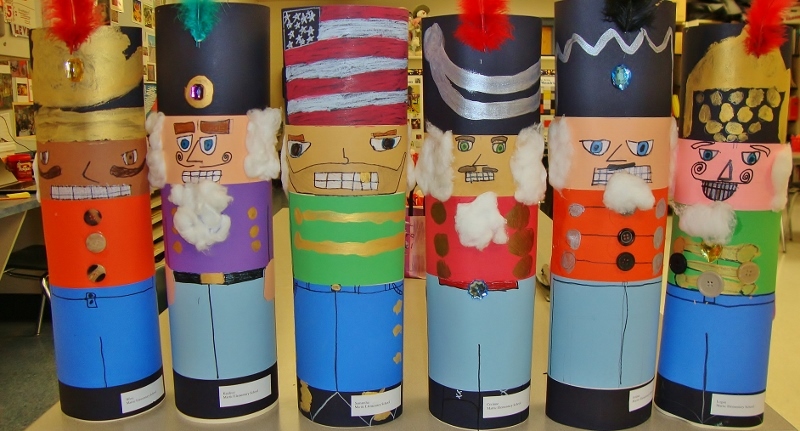 The sculptures were made by third-graders at Martic and Letort elementary schools in preparation for Friday’s field trip to see the classic holiday ballet. Art teacher Jenny Steffy approached the businesses about displaying the sculptures, which will remain in the windows through December.